For optimum performance we recommend genuine printer toner by KYOCERA Document Solutions, which is specially designed for your device. Toner particles of the incorrect size can lead to poor print quality with streaky grey background or ghosting on the page. 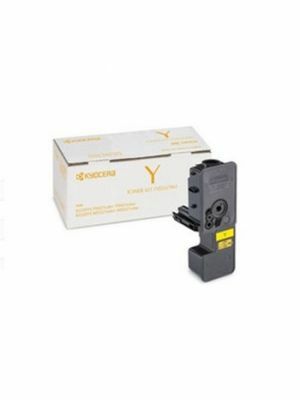 KYOCERA Document Solutions toner contains ceramic cleaning beads which are essential to ensure the printer drum is clean and particle free. This is particularly important as our drums are designed to last several hundred thousand copies. There's only one way to avoid toner malfunctions and the hassle and expense of reprinting – and that's by using original KYOCERA toner. It is only with original toner that your business can experience cost savings, high quality prints, and high device reliability with a lower environmental impact. KYOCERA has received evidence that non-genuine KYOCERA toners have been circulated, distributed and sold within our sales territories. It’s important to be alert to this issue because you as a customer can face serious technical problems from using counterfeit toners. Such damage caused will also not be covered by your warranty maintenance agreement. 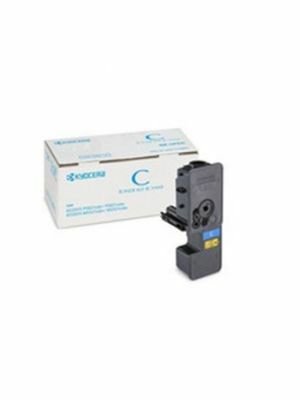 Counterfeit toner is manufactured and packaged to look like an original KYOCERA. However, it certainly won’t deliver the same quality, reliability and performance. Ensure you're getting the genuine article by purchasing printer supplies through KYOCERA. 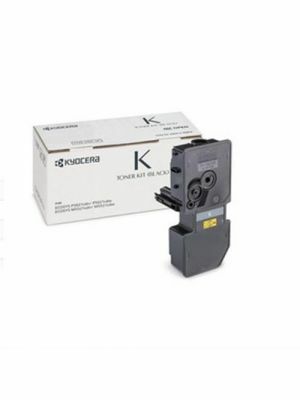 Ecotech Print Solutions is an authorised Kyocera Document Solutions reseller. We partnered with Kyocera as our companies share common sustainability and low running costs ethics, Kyocera are known for their long-life components. It is important to find a supplier that is reliable, fast, honest and provides you with high quality products and the service you require. Our technical background in the manufacturing and remanufacturing of toner cartridges, means we know what consumables and components are needed for the best quality print. We ensure toner can heat to the right temperature to fuse to the paper and not damage your imaging drum. It significantly reduces the total cost of owning your product for the lifetime of the machine. It means streamlined operations, increased data accuracy and governance. It means you get the best product at the best price. By choosing Ecotech Print Solutions, you benefit from greater product knowledge, reliability, increased savings and productivity for your home or business. And most importantly it gives you piece of mind that you have found an Australian Owned and Operated Supplier with strong ties to Kyocera Document Solutions to ensure you get the customer service and sustainability story all Aussie businesses deserve. Ecotech Print Solutions strives to serve you with the most efficient and reliable delivery method. We use the following methods to send you your goods in super fast! All orders over $99.00 are eligible for free shipping. If your order is under $99.00 an $8.00 shipping fee will be applied. All orders placed before 3pm AEST (excluding weekends and public holidays) are dispatched on the same day. Orders placed after the 3pm cutoff will be dispatched the following business day. Generally, deliveries to major cities can be expected within 1-2 business days and upto 5 business days for more remote areas. Should you have an urgent order please call us so we can arrange speedy delivery by either direct courier or air freight. In this case, all shipping fees will be forwarded onto you, however we do negoiate with our couriers to find you the cheapest price. We strive to have all items in stock. However, if for any reason we are unable to dispatch your order in the normal time schedule, we will notify you within 2 business days. While we also endeavour to have the website constantly updated, in the rare occasion a product is obsulete, we will call you to discuss the upgraded version or offer you a full refund. Insufficiently supplied or incorrect address details will incur a $8.00 relivery fee. If you have given approval to leave goods without a signature, you accept full responsibility if your parcel is lost or stolen from your property. We provide one year warranty on all Envirotech products. Warranty of OEM products is per the manufacturers’ return policy which we can organize for you. Once orders are received and processed, we may not be able to cancel it. We are unable to process payment on the credit card provided. The product has become unavailable. To return a product, you must first contact us to obtain a Return Authorisation number to be clearly displayed on the outside of the box. There are so many different types of cartridges and printer models. If you are unsure if you have the correct cartridge please contact us on 03 9796 4009 to verify before organizing a Return Authorisation number. Returned goods must be in the original packaging, unopened, undamaged and free of any shipping labels or marks, otherwise a credit may be rejected. Where incorrect goods were ordered, all credits incur a 20% restocking fee. Please call Ecotech to organise a Return Authorisation number, and return faulty goods, clearly labeled, with return authority on the outside of the box, and a print page inside. There are many occasions where toner and ink cartridges, both Envirotech and OEM, are found non-faulty please ensure you have performed your printer’s recommended cleaning procedures beforehand or call us on 03 9796 4009 to verify whether it is a cartridge or printer problem. The warranty is limited to the cost of the goods as per your invoice and is the actual amount you paid for the goods. Once cartridges are received and evaluated, the credit could take upto 30 days for OEM cartridges and 7 for Envirotech. Our online payment structure is 100% secure processed by braintree payment gateway. We do not store any credit card details. Alternatively, please call head office and we can process credit card payments over the phone or give you our information for payments via direct debit or cheque. Where direct debit or cheque has been the payment mehtod, please allow for the payment to be cleared before order despatch.